Here are a couple of ideas from Artistic Design Build on how you can set yours up. 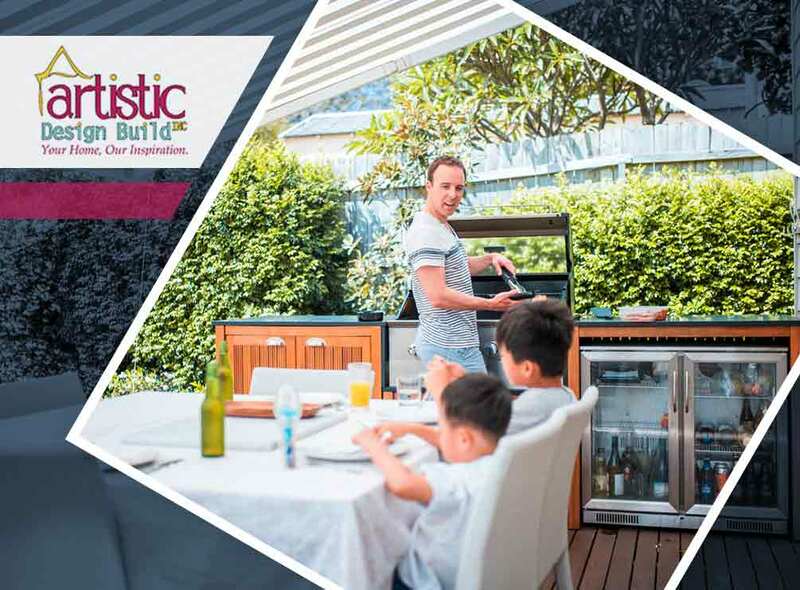 There are various outdoor kitchen styles, but you may be limited by the style you can apply depending on what works with the rest of your home’s design. For instance, a rustic style looks cozy and uncompromising but will clash with modern lines since the theme utilizes soft, earthy tones. If you have a more modern home, a contemporary outdoor kitchen will work really well. The lines and polished surfaces can complement the lines of your home. Discuss the tones of the kitchen with your custom kitchen remodel team to match with the colors of your home. How will you use the kitchen? Do you have a backyard that can support additional plumbing systems? If so, a fixed custom or prefab kitchen might be a good idea. This will take advantage of a backyard with plenty of space. On the other hand, a movable kitchen can work for a smaller backyard space. Rolling shelfs can provide extra storage. As indoors, so outdoors; a layout configuration for your outdoor kitchen will dictate the flow of work around it. It also goes without saying that the configuration will have to be determined by your actual kitchen needs. For example, by laying out your kitchen along a single wall, you probably have a separate area for dining. On the other hand, an equally simple island layout will let you have the cooking area on one side of the island, and the dining area on the other side. And if you plan on using plenty of outdoor cooking utensils, a U-shaped design will let you have enough space for both you and your tools. You can ask us about how to set up your outdoor kitchen or about how to handle a bathroom remodeling project. That’s because at Artistic Design Build Inc, we have more than twenty years of experience in the industry. Give us a call at (301) 969-3037 to find out more about what we do. Alternately, you can also fill out our contact form. We serve residents of Bethesda, MD.